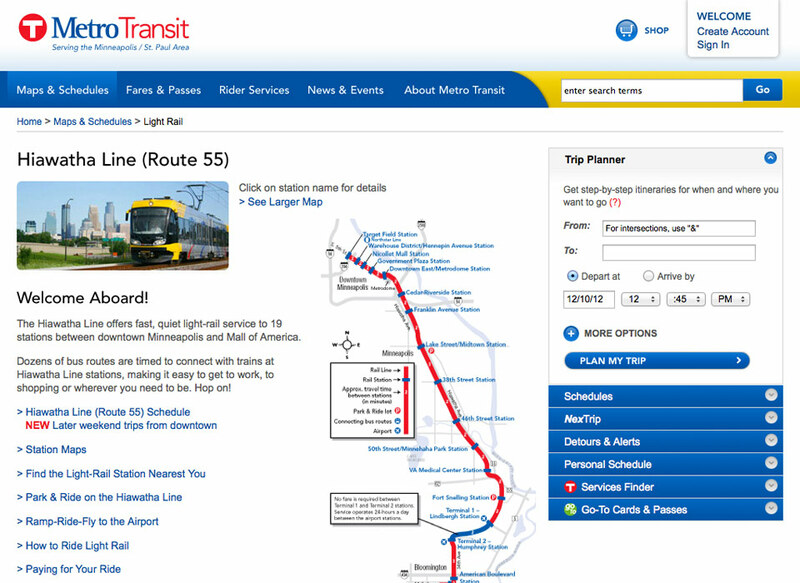 Metro Transit is one of the largest transit systems in the country, providing buses, light rail and commuter trains for the Twin Cities metro area in Minnesota. 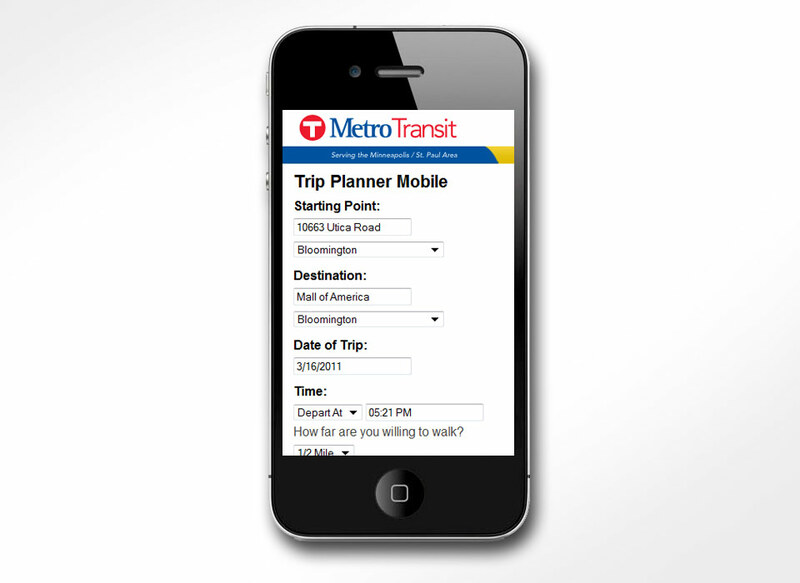 Metro Transit was facing significant challenges with the usability and quality of its website and came to us for assistance with a full redesign. 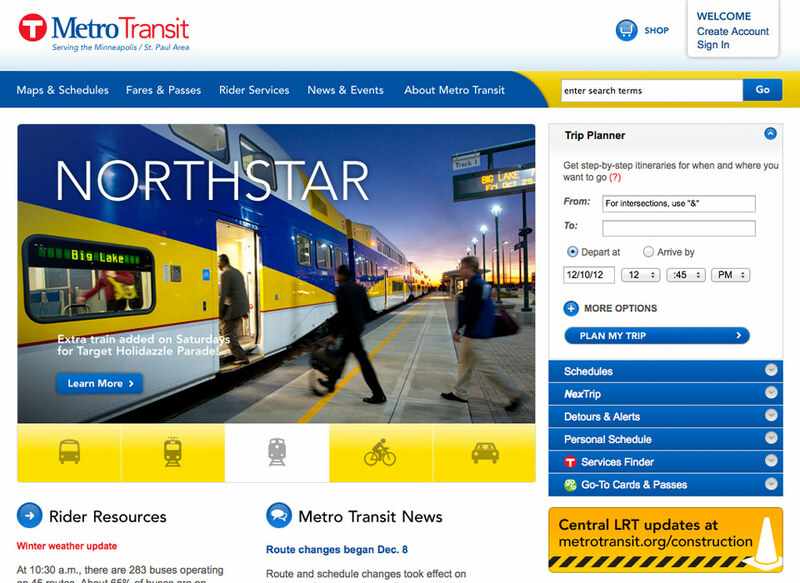 We partnered with Metro Transit to establish an intuitive user experience and a fresh design for the content rich website. 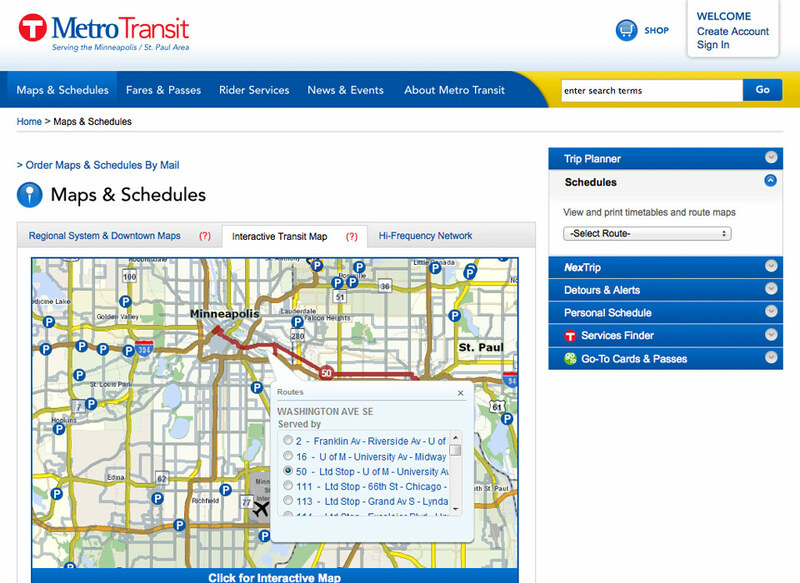 Users are now able to plan their trip online, view schedules, videos, detours and alerts, purchase tickets online, look up their Go-To Card balance, and view real-time departures for the nearly 15,000 bus stops throughout the region. A year after the redesign, Metro Transit reported that nearly 205,000 unique users visited metrotransit.org a total of nearly 650,000 times. 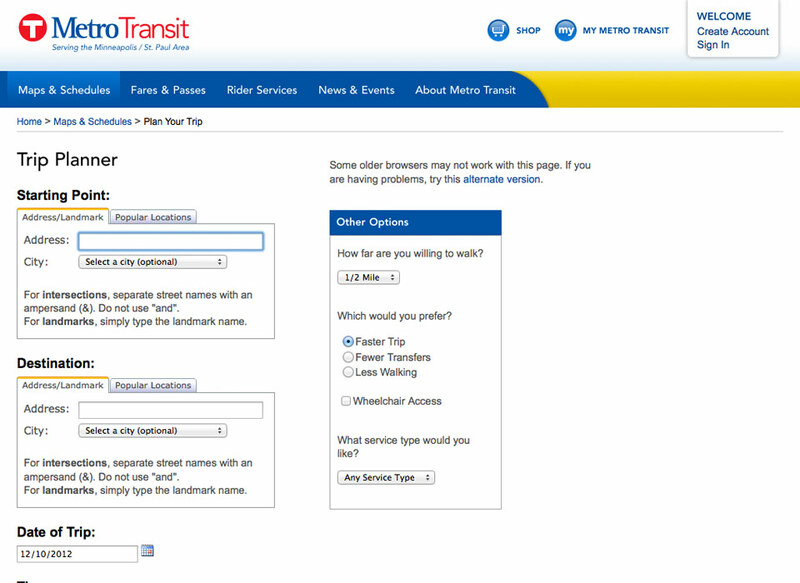 This represents the highest regular use of the site since it launched about a decade ago. 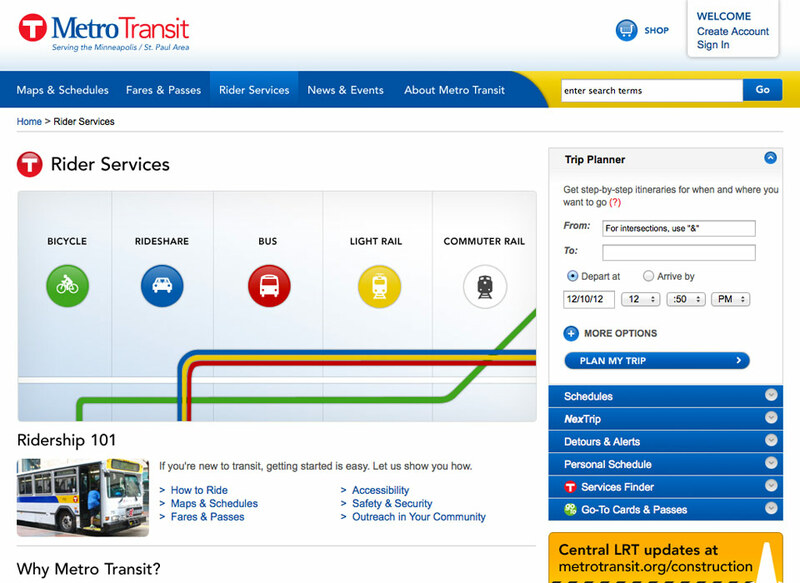 A mobile version of the site was also designed.